Since she started out selling her cakes at a market in East London, Lily Jones (aka Vanilli) has gone on to become one of Britain's best-loved artisan bakers. With a star-studded client list and a thriving bakery on Columbia Road, Lily's bakes are famous for their unique flavour combinations, spectacular design and exquisite taste. 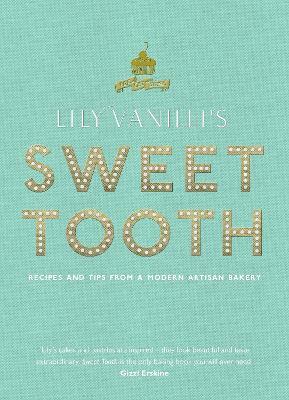 In Sweet Tooth, Lily takes you behind the scenes of her bakery and shows you how to master some of the core skills of baking, arming you with the expertise you need to develop your own recipes, and move beyond the cupcake once and for all. 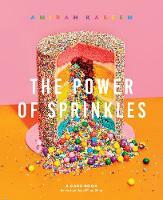 Packed with over 100 inspirational and easy to follow recipes for layer cakes, tarts, biscuits, meringues, confectionary and ice creams, Lily shares her invaluable tips and decorating techniques. Sweet Tooth is essential reading for anyone who is passionate about making sweets - from the complete beginner to the expert baker.